What happens when you get a group of extreme moto cross riders on a day out of extreme paintballing? Absolute mayhem! That was the case last month at one of our centres in the UK when the 2012 championship contenders competed against a team of journalists who regularly track their performance throughout the season. To ensure the journalists were not completely annihilated, a few of the moto cross riders switched sides to make it an even contest. And what a battle it was! The Delta Force staff on the day were in paintball heaven as they saw some moves never attempted before on a paintball field. The paintball event proved to be a great day out for both the moto cross riders and press. Paintball events at Delta Force are a great way to strengthen bonds between colleagues and teammates, and it’s a great day out that everyone will enjoy. We regularly play host to various celebrities, sports stars and extreme athletes and we extend this same celebrity treatment to all guests at Delta Force. 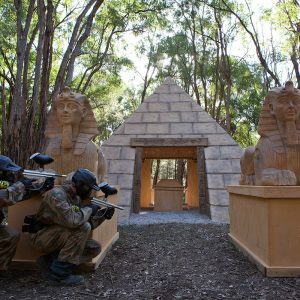 Be it our top of the range safety equipment or world-class game scenarios, players time and again visit us to take on the Delta Force challenge. 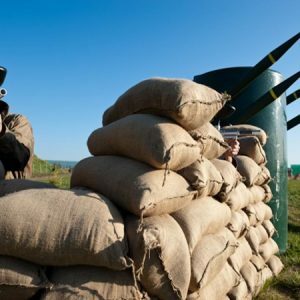 If you’re looking for extreme adventure for your next party then get in touch with us and we’ll help organise your paintball experience. It will be the most talked about day of the year! 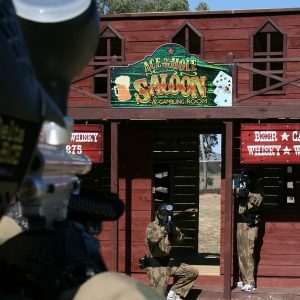 To arrange a paintball party for you and your friends, colleagues or teammates, call our friendly booking office today on 1300 850 744.